Brand/Manufacturer: GLOBAL HEALTH PRODUCTS, INC.
Procel Protein Powder is a high-quality, instantly dissolving unflavored whey protein powder. It assists in meeting the protein needs in individuals that are unable to do so in their normal diet. Designed specifically for dry-mix applications to enhance dispersibility and quick hydration into solution. 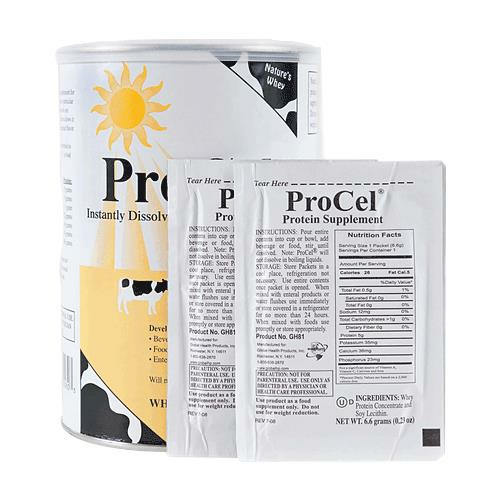 Procel Nutrition Supplement Powder is derived from fresh, sweet dairy whey processed by a special cross-flow filtration, agglomeration, and surface treatment. Cold beverages: water, smoothies, shakes, etc.